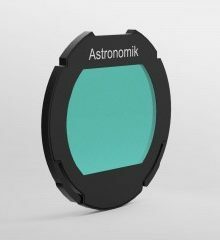 The Astronomik CLS Filter (not IR blocked) is the best deep sky and general purpose filter and one of my favourites. 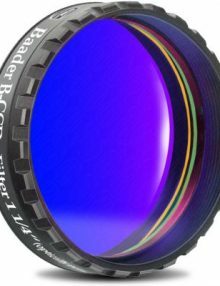 This broadband light pollution filter works on all objects for both visual use, and imaging with standard and Baader modded DSLR cameras. 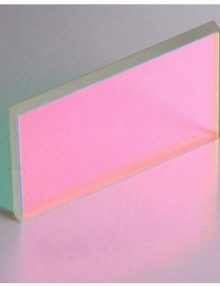 Blocks Sodium, Mercury and air-glow emission. 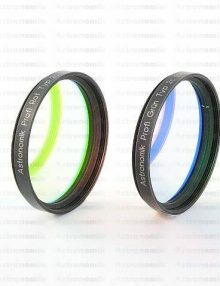 Can also be used as an effective minus violet filter by refractor owners. Not UV / IR blocked. 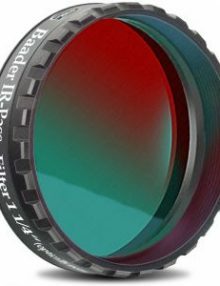 The IR Pro (742nm) Filter pushes the passband of the Baader and Altair IR pass filters further into the Infra Red. 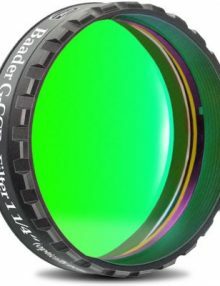 At these longer wavelengths, planetary images are much less disturbed by distortions in the atmosphere. This is the best “Planet Killer” filter, based on research by Astronomik to determine the optimal passband for enhanced Planetary Imaging, with most amateur equipment. 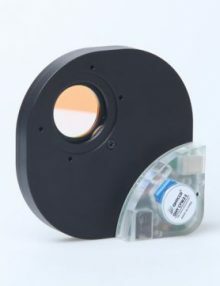 Sensitivity of most CCD cameras is still fairly high in this region so smaller scopes (>5″) can benefit. 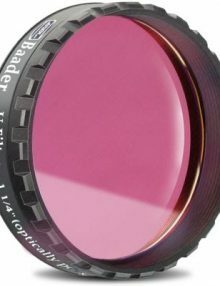 The Baader UV IR Block L Filter is excellent at blocking UV and IR, passband is 420nm – 680nm. 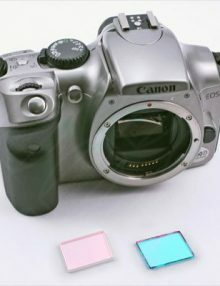 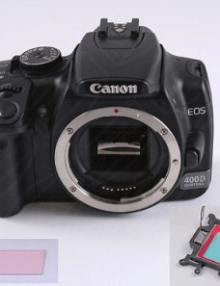 The Astronomik CLS CCD Filter IR Blocked has all the benefits of the standard CLS CCD filter but with IR blocking built in. 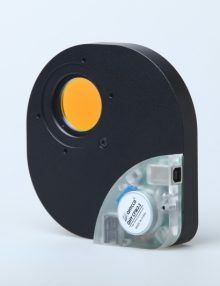 This broadband light pollution filter works on all objects and can be used visually and for imaging with CCD and plain glass (full spectrum) modded DSLR cameras. 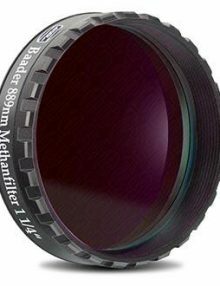 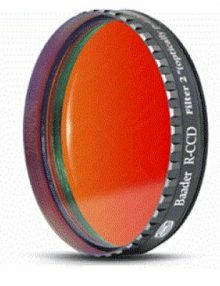 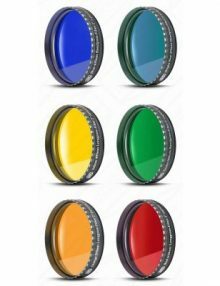 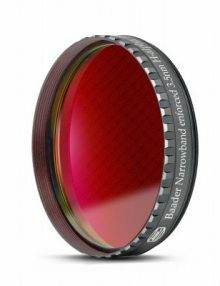 New LRGB CCD filter sets from Baader, available in many combinations, all filters are parfocal and complement the existing Narrowband filters. The Astronomik H-Alpha CCD Filter 12nm enables high contrast imaging of emission nebulae, even with full moonlight or in light polluted areas. OIII CCD filter for narrowband imaging. 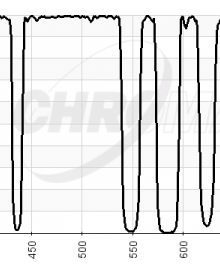 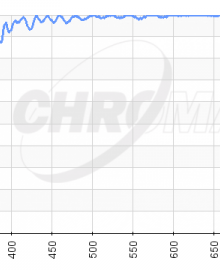 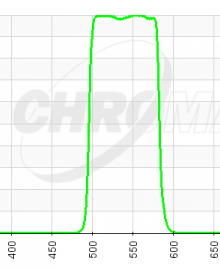 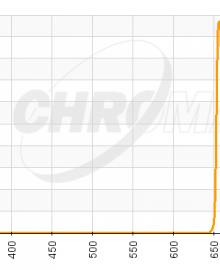 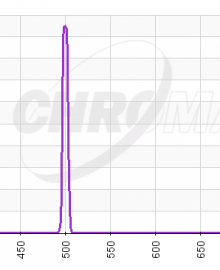 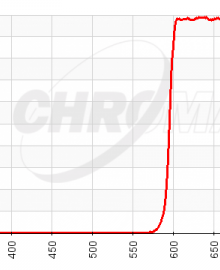 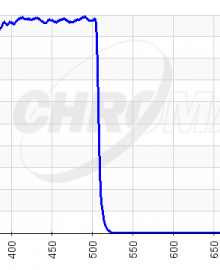 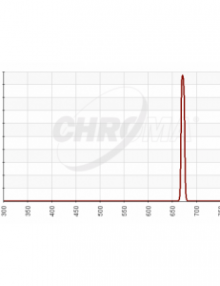 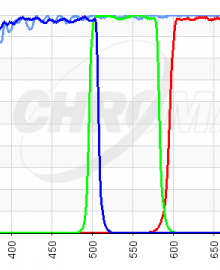 The filter has a peak transmission of 80% and completely blocks the rest of the spectrum from 200nm to 1500nm. 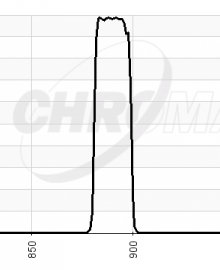 Used to record cloud structures on Venus, the Solar Calcium K-Line is also within the passband of this filter. 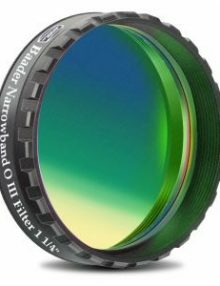 SII filter for narrowband imaging. 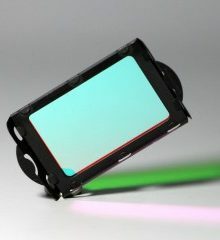 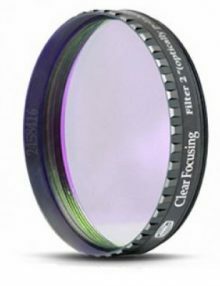 High Optical Quality Plain glass filter, when the full spectrum is required. 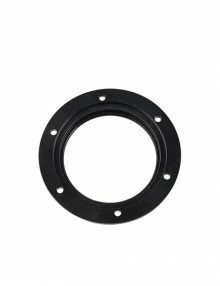 Scratch resistant and par-focal with other Astronomik filters, makes a useful dust seal. This filter blocks wavelengths below 685 nm. At longer wavelengths, planetary images are less disturbed by wavefront distortions in the atmosphere (seeing). Top of the range IR block filter. This IR-blocker is optimized for systems with focal ratios between f/0.5 and f/50, typical transmission is higher than 99%. 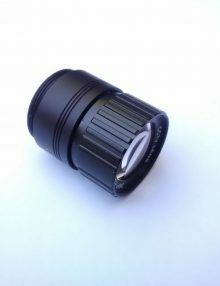 Suitable for cameras with low sensitivity in the UV such as webcams and the Meade DSI and LPI. The Astronomik SII CCD Filter 12nm enables high contrast imaging of gas nebulae even in moonlight or light polluted areas. 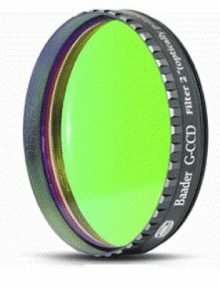 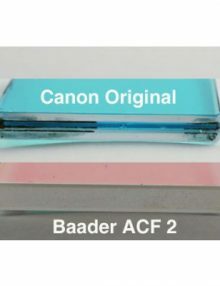 New LRGBC CCD filter sets from Baader, available in many combinations, all filters are parfocal and complement the existing Narrowband filters. Astronomik IR Pro (807nm) Filter – This filter extends the IR passband much deeper into the IR. 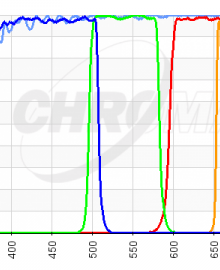 These very long wavelengths allow planetary imaging in poorer seeing conditions than normal. 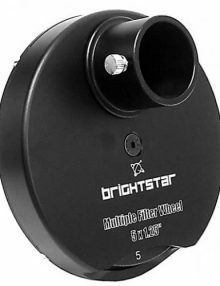 The sensitivity of most CCD cameras is reduced in this region so scopes of over 8″ aperture draw the most benefit. 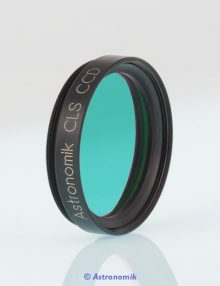 The Astronomik OIII CCD Filter 12nm enables high contrast imaging of planetary nebulae even with moonlight or in light polluted areas. 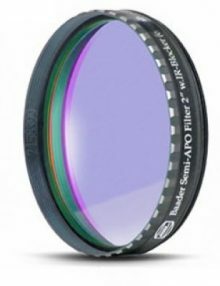 Please note this is the CCD filter which unlike the cheaper “visual” version does not pass Infra-red light! The Astronomik H-Alpha CCD Filter 6nm enables high contrast imaging of emission nebulae, even with full moonlight or in light polluted areas. The contrasts between objects that glow in the H-alpha light and the sky background are greatly enhanced. 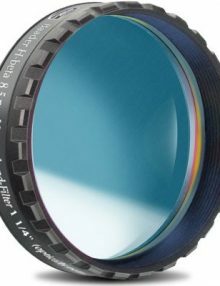 The 6nm H-alpha filter dramatically increases the contrast between hydrogen fog and the sky background. 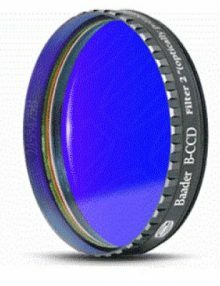 The Baader Complete Filter Set – 36mm, contains an LRGBC filter set as well as the three Hubble pallet emission line filters, Ha 7nm + OIII 8.5nm + SII 8nm. 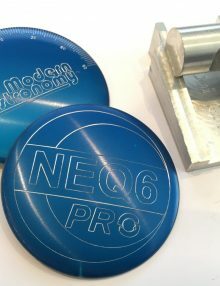 Consists of 8 Filters (2459546) glass thickness is 2mm. 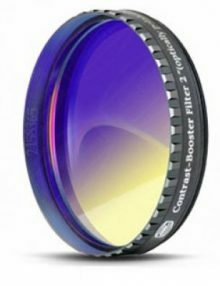 This high quality manual filter wheel allows you to switch between 5 x 1.25″ filters without removing the camera. 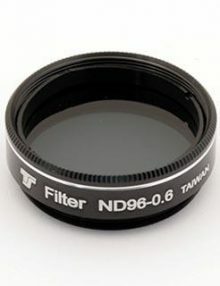 At the same time the filters are always safely stored and protected against dew. 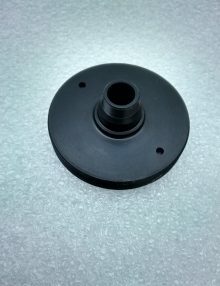 The filter wheel is suited to both imaging and visual use and is the most robust low profile filter wheel available at this price. The Astronomik LRGB Type 2c Colour Filter Set contains 4 x Individual Filters. 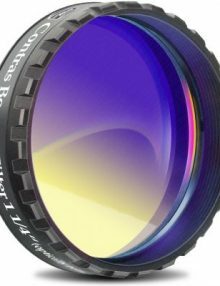 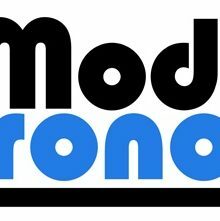 Used to create high quality colour composites with monochrome cameras. 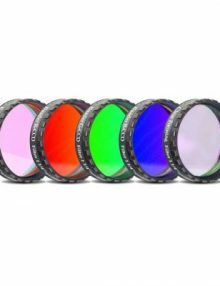 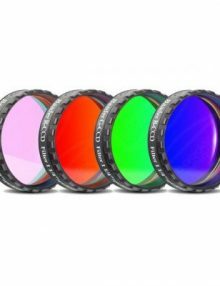 These filters are well priced high quality dichroic LRGB filter sets. 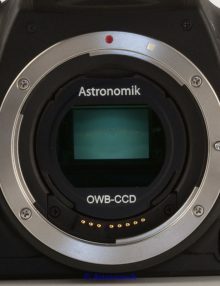 The Astronomik OWB Type 3 Clip-Filters (Original White Balance) restore the colour balance of an astro modified DSLR to make it suitable for use on terrestrial subjects. The Neodymium filter is a contrast filter for all objects within our solar system. 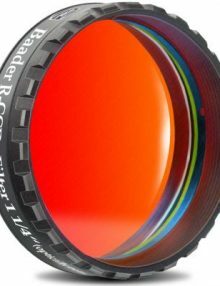 It enhances contrast of reddish details (for example the famous Great Red Spot on Jupiter), as well as of blue details (like some surface and atmospheric details on Mars). 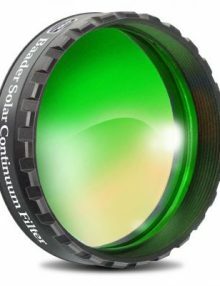 Important note: Not suitable for visual Solar Observation! 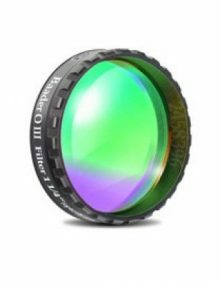 These 3.5 nm H-alpha Enforced-Narrowband Filters open up the extremely narrow 3.5nm H-alpha world. 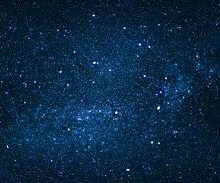 This enforced contrast results in even fainter stars, providing more signal of faintest nebulae detail. 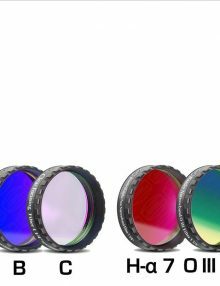 Manufacturing such ultra-narrow filter does require extreme coating homogeneity and very high CWL precision, which these filters are designed for (CWL= Center-wavelength). 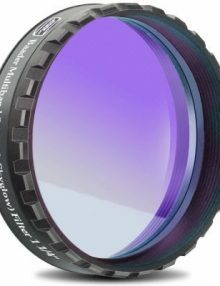 For users of Achromatic telescopes this filter enhances contrast, making brighter objects appear sharper and more clear. 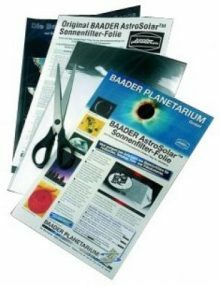 Use the new Baader Planetarium Calcium K-Line Filter to image the sun in K-Line with any telescope. Baader’s double-stacked filter uses sophisticated coatings to produce a sharp 8nm wide bandpass, centered at 395nm. 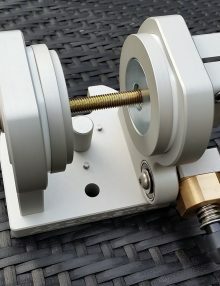 A unique filter, transmitting a narrow 10nm bandpass around the 540nm region. 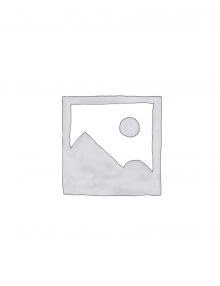 The double stacked version is supplied with a 20 x 29cm sheet of ND3.8 AstroSolar Photo Film. 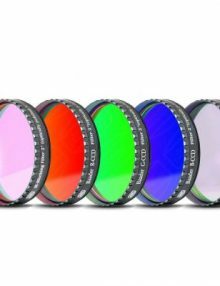 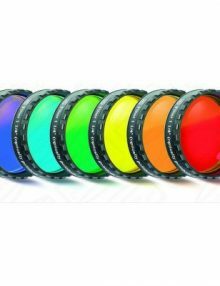 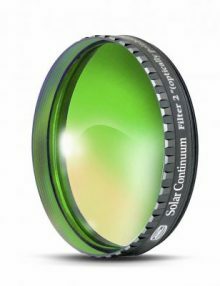 Astronomik offers an additional series of high-end RGB filters: The new Astronomik Deep-Sky RGB filter set is specially designed to meet the needs of modern astrophotographers for maximum image quality with all CCD cameras. 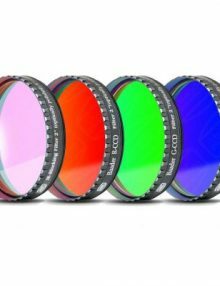 Use the Deep-Sky RGB Filter Set to capture images with unparalleled sharpness, contrast, and vivid color. 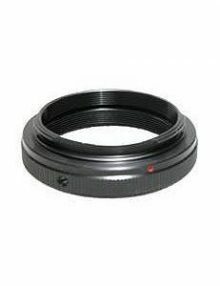 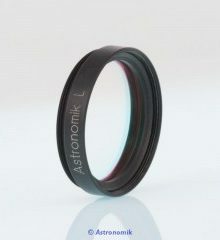 The Astronomik H-alpha 12nm CCD Clip Filter EOS XL is a narrow band filter for CCD photography. 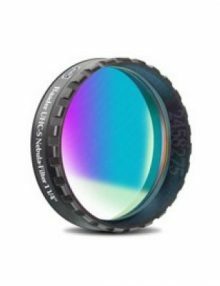 This filter lets the H-alpha light of emission nebulae pass and blocks nearly the whole remainder of the spectrum where the CCD is sensitive. 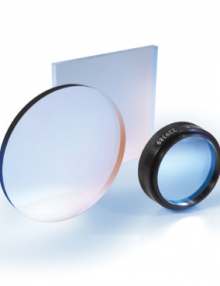 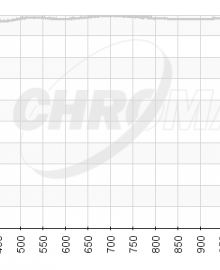 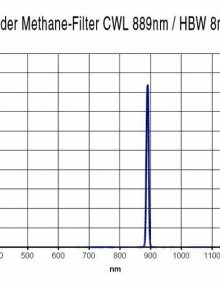 The Methane filter is a specialized filter, that passes a narrow passband 8nm wide in the near infrared portion of the spectrum, centered at 889nm. This filter is a high transmission UV/IR block filter which also removes violet and some blue light. 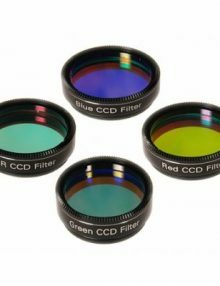 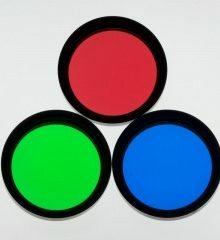 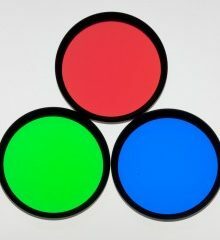 Beginners CCD RGB filterset consisting of 3 colour filters (red, green, blue) and the Baader IR Cut Filter – 1.25″ size. 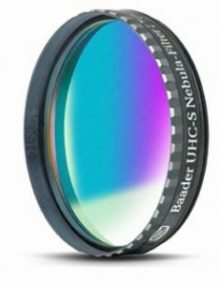 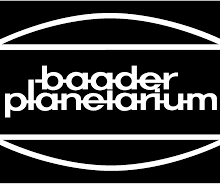 Midway between the Astronomik CLS and UHC in terms of bandpass, the Baader UHC-S Filter is best used visually by owners of smaller telescopes (8″ or less) for nebular observation or for general observation in areas of high light pollution. 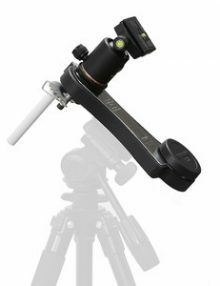 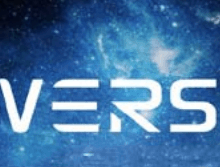 Owners of larger scopes and imagers will get better results with the Astronomik UHC. The Astronomik OIII Visual Filter is mainly for observing planetary nebulae, unsuitable for use with CCD cameras without an IR block. This Astronomik SII CCD Filter 6nm is suitable for photographing SII regions from artificially polluted areas as well as places with dark skies. 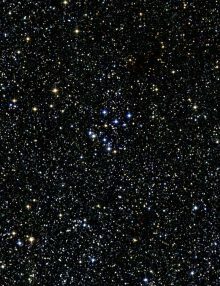 The contrasts between objects that glow in the light of the sulfur line at 672nm and the sky background are greatly enhanced. 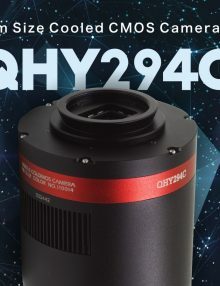 The 6nm SII-CCD filter dramatically increases the contrast between hydrogen fog and the sky background. The Astronomik OIII CCD Filter 6nm dramatically increases the contrast between hydrogen fog and the sky background. 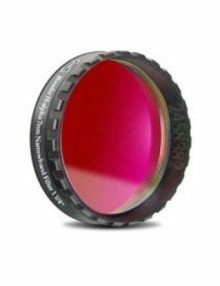 Due to the combination of low half-width and high transmission of almost 100% in the area of ​​the OIII line, the filter delivers a maximum signal in the desired wavelength, but blocks all other radiation and thus ensures an extremely dark sky background. 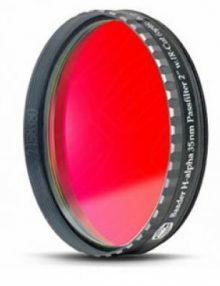 The Semi APO filter is suited for all refractor telescope with a discernible secondary spectrum (false colour). 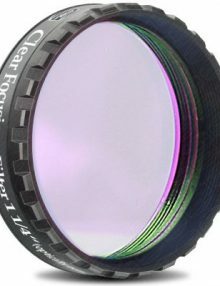 The Astronomik H-Beta Visual Filter is useful for visual detection of the Horse Head, California and some other nebulae with larger telescopes. This Astronomik UHC-E Filter was designed for visual observation of emission and planetary nebulae with smaller telescopes (<8″) but also works well for imaging these objects if used with an IR block filter.